The Trump administration’s newly proposed education budget directs $400 million dollars to expanding school choice, including vouchers for private schools. Education Secretary Betsy DeVos has repeatedly touted state voucher policies, including Florida’s McKay Scholarship program for students with disabilities, as a way to increase parental choice and improve the U.S. education system. DeVos cited high parent satisfaction with the McKay program during her Senate confirmation hearing, leading to national press coverage of parents who were in fact unsatisfied with the program. But the reality is parent satisfaction is an inappropriate metric for examining the effectiveness of programs like the McKay Scholarship. A voucher program for students with disabilities presumes that providing choice will ultimately result in helping students with disabilities receive an education that will best meet their needs. But this is unlikely because private schools do not have to abide by the Individuals with Disabilities Education Act (IDEA), the federal special education law, and few private schools are well equipped to meet the needs of students with disabilities. In a recent op-ed, Former Governor Jeb Bush writes: “Too many parents hit frustrating dead ends in trying to get the right services for their children in their assigned public schools.” While it is certainly true that parents struggle to make changes when they are unhappy with their child’s placement or his/her individualized education plan (IEP), there is little reason to believe school choice is the answer. Currently, many parents do not understand their rights under the Individuals with Disabilities Education Act (IDEA). Parents also may feel uncomfortable bringing due process claims and/or lack access to legal assistance. Moreover, even for those with legal assistance, due process claims can be time consuming and costly. As a result, researchers have found that IDEA’s reliance on private enforcement leads to disparities in enforcement which ultimately favor the affluent. Voucher programs do little to change this reality. Currently, under the Florida program, parents receive an average of $8,000 for their child with a disability. This is not enough funding for students to attend private schools specifically designed to serve special needs students without extra outlays from parents. Instead, many students enroll in parochial schools, which make up the majority of private schools in Florida. There is little reason to believe these schools are a better placement for students with disabilities. Most do not employ school psychologists, related service providers, or teachers experienced with meeting the needs of students with disabilities. Since these schools are not required to comply with IDEA, they do not provide occupational therapy, physical therapy, speech therapy, behavioral therapy, or counseling. Moreover, these schools are not required to use any specialized curriculum to meet the unique needs of students with disabilities. So using a voucher means a student with a disability will still not receive the services they need to be successful in school. Another popular defense of the McKay Scholarship program is the fact that students with disabilities are often unfairly disciplined. Jeb Bush writes: “…It is well documented that students with disabilities are far more likely to be abused, bullied, isolated and subjected to harsh punishment.” Yet, a voucher program allowing students with disabilities to attend private schools actually makes it more likely that students with disabilities will be unfairly disciplined. Since private schools are not required to comply with IDEA, they can discipline a child for behavior that is a manifestation of his/her disability. Moreover, as a recent New York Times article revealed, parents have no legal recourse when their child receiving a McKay scholarship is kicked out of a participating private school. In contrast, in a public school, a child with a disability cannot be punished for a behavior that is considered a manifestation of his/her disability, and he/she has a legal right to a hearing. According to a recent NPR article about the McKay program, a child named Reed thrived in a private school because of the “many caring hearts in the building.” But students with disabilities need more than caring hearts in a building. They need experts trained in the best methods for educating students with disabilities and schools well-prepared to address their unique learning needs. In fact, Reed’s parents chose to spend $100,000 a year of their own money on speech therapy, occupational therapy, and applied behavior analysis (an intensive form of coaching for autism). On top of that, they paid to bring a therapist to the school to help their son’s teachers learn how to work with him. Reed’s parents may be satisfied with their voucher, but most parents cannot afford to pay for all of these services. Instead, children placed in private schools through McKay simply stop receiving the services they have been granted under their previous IEPs. There is little evidence to prove that the McKay Scholarship program is working. There is minimal data collected on the program beyond the number of students enrolled, and there is only one study of parent satisfaction from 2003. Beyond that, its unclear how many parents would have chosen to pay for a private school placement without the scholarship, or how much parents pay out of pocket to provide their child with counseling, occupational therapy, speech therapy and other necessary services. Moreover, there is no testing data collected for these students, and they don’t have IEPs with clearly articulated yearly goals. So it remains unclear if the 31,000 children in the program are thriving in their school placements or making yearly progress. The fact that the average usage of the scholarship is 3.6 years hints that students “out on McKay” attend more schools during their K-12 schooling than the average student. This is likely harming the children in the program. Research has repeatedly shown that frequently switching schools negatively impacts a child’s social, emotional, and academic development. The likelihood of negative impacts is even greater for students with disabilities who often struggle with disruptions in routine and transitions. Imagine the disruption for a child with autism who adapts to a new school environment in second grade only to change schools a year later when the private school announces it can no longer meet his needs. Ultimately, the McKay Scholarship program — and any voucher program for students with disabilities — fails to remedy the very problems it was supposedly designed to address. Vouchers shuffle students with disabilities into schools that are unprepared to meet their needs. Some students may flourish, but many more will flounder without an IEP and appropriate supports. And there is strong reason to believe most of these students will wind up back in a public school placement (as did almost every child profiled in the New York Times and NPR articles). Every parent of a child with a disability should be provided assistance navigating the contours of IDEA and access to advocates who will help them find an appropriate placement and necessary supports for their child. 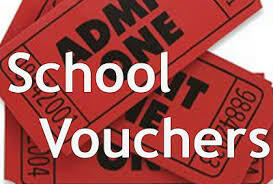 A voucher to a private school is simply not what these parents need. This entry was posted in School Choice, State Education Policy and tagged Betsy DeVos, McKay Scholarship program, students with disabilities, vouchers, vouchers for students with disabilities on May 22, 2017 by Marnie Kaplan. There are many inaccuracies in this article both legally and factually so do your own research before assuming the author is correct. What does resonate is that the current adversarial system doesn’t serve kids well. Lori, could you identify the legal and factual inaccuracies to help guide other readers? Having been in a desperate public school situation with a student with an IEP, your last statement makes me fairly certain that you have not. It’s one thing to call for accountability and better evaluations of these kinds of programs, but quite another to say greater access to private programs can’t work for students with disabilities. Tread carefully when discussing findings and implications of research, especially when arguing to close off options for “these parents”.